Anni Albers was one of the pioneers of modernism. A pre-eminent textile artist, she studied with Paul Klee at the Bauhaus. Throughout her life she was uncompromising in her approach to art – pushing boundaries and experimenting with every medium she employed. She left the politically hostile Germany in 1933 with her husband, abstract painter Josef Albers, to work at the experimental Black Mountain College in North Carolina. As well as working in textiles, she also made inventive jewellery from ordinary household objects and latterly worked in printmaking. Works have been generously loaned by Alan Cristea and by The Josef and Anni Albers Foundation in Connecticut USA. This is the first time that Anni Albers’ prints, textiles and jewellery have been seen together in Britain. It is fitting that the only English showing of this exhibition is in Coventry, a centre for weaving since the medieval period and now at the forefront of innovative material design. 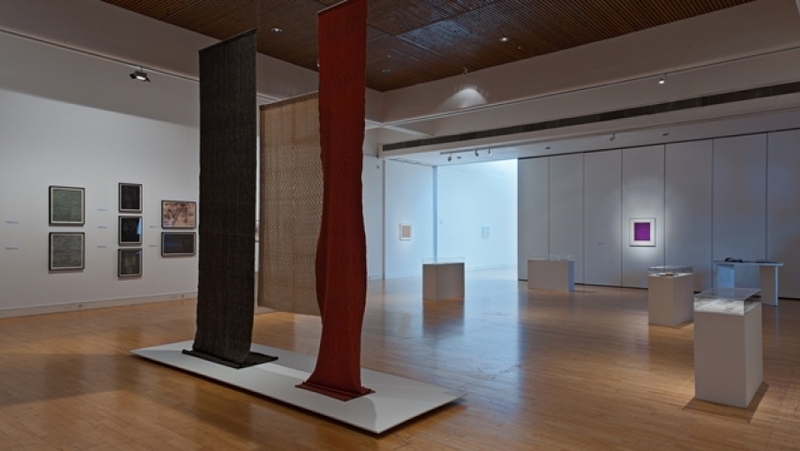 Anni Albers: Design Pioneer is curated by Brenda Danilowitz and Ann Jones. The exhibition has been produced in collaboration with Alan Cristea Gallery, Ruthin Craft Centre and The Josef and Anni Albers Foundation. It is accompanied by an illustrated publication.